In some cases we need to initialize all values of boolean array with true or false. 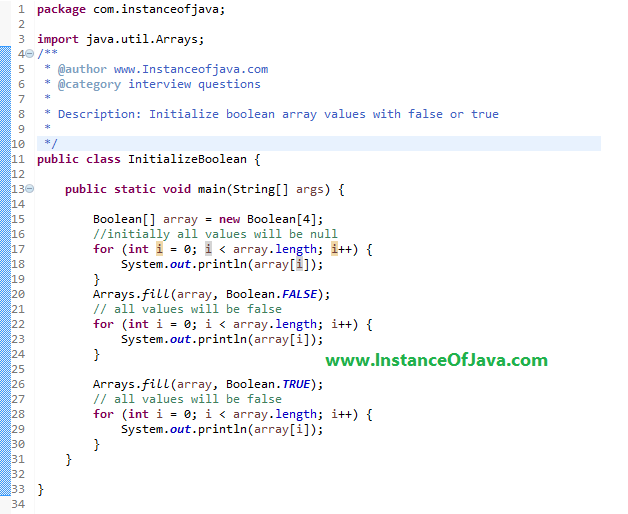 Lets see an example java program on how to assign or initialize boolean array with false or true values. #1: Java Example program on initializing boolean array.